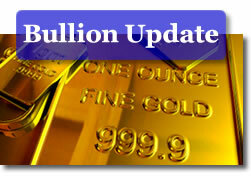 New York gold futures rose for a second straight day on Tuesday, although prices closed up just 0.3 percent. Safe-haven buying was credited for gold’s gains which were supported by worries over Europe’s credit crisis, plunging equities and tensions on the Korean peninsula. Other metals declined, however. Platinum and palladium plunged the most over continuing concerns that another economic slowdown would kick in and weaken their industrial demand. They suffered respective losses of 2.8 percent and 5.1 percent. Silver retreated 1.2 percent. In other markets, crude oil fell 2.1 percent, while a late-day rally erased most losses in U.S. stocks. The Dow notably declined only 22.8 points after plummeting nearly 300 points earlier in the day. Gold for June delivery climbed $4.00 to $1,198.00 an ounce. It ranged from $1,185.20 to $1,200.40. Silver for July delivery declined 21.9 cents to $17.781 an ounce. It ranged from $17.530 to $17.990. July platinum fell $42.60 to $1,491.90 an ounce. It ranged from $1,484.50 to $1,532.00. June palladium plunged $23.15 to $430.40 an ounce. It ranged from $423.00 to $446.70. "Gold is being bought because of the level of international fear out there," Leonard Kaplan, the president of Prospector Asset Management in Evanston, Illinois, was quoted on Bloomberg. "Europe is buying because of the decline in the euro, and Asia is buying because they’re scared to death of North Korea." "People are going long again with equities that continue to slide. All equities are bearish at the moment … it’s probably going to get worse before it gets better," Standard Bank analyst Walter de Wet was quoted on Reuters. "If gold goes below $1,180 it’s definitely a good buy. We think it’s going to head higher and end the year above $1,300." In PM London bullion, the benchmark gold price was fixed earlier in the North American day to $1,198.25 an ounce, gaining $11.25 from the price on Monday. Silver fell 15 cents to $17.630 an ounce. Platinum settled at $1,493.00 an ounce, declining $32.00. Palladium ended down $22.00 to $428.00 an ounce. Crude oil plunged, but "futures trimmed some of their losses Tuesday as commercial buyers snapped up crude at bargain-basement prices and stocks came off their lows," wrote Claudia Assis from MarketWatch. Bloomberg today cites a report indicating oil’s 20 percent loss in the past month will likely end at $66 a barrel. "We look for a downside resolution toward the confluence of support between $66.11 and $65.87," Barclays Capital analysts led by MacNeil Curry in New York said in a report yesterday that was cited on Bloomberg. New York crude oil for July delivery tumbled $1.46 to $68.75 a barrel. The national average for regular unleaded gasoline fell 1.3 cents to $2.780 a gallon, according to AAA fuel data. The current average is 7.9 cents lower than last week, 7.4 cents less than a month back, but 35.6 cents higher than the average from a year ago. U.S. stocks "staged a furious late-day rally on Tuesday to push the S&P 500 into positive territory as the focus shifted from European debt woes to buying after shares hit six-month lows," wrote Chuck Mikolajczak of Reuters. "There’s been very little news to cause investors to think the market is going to rally against the backdrop of global uncertainty," Len Blum, managing director at Westwood Capital, was cited on CNNMoney.com. "We’re one international economy right now, and it would be hard for the U.S. to have meaningful growth if Europe is having a slowdown. The Dow Jones industrial average fell 22.82 points, or 0.23 percent, to 10,043.75. The S&P 500 Index rose 0.38 points, or 0.04 percent, to end at 1,074.03. The Nasdaq Composite Index retreated 2.60 points, or 0.12 percent, to 2,210.95. In a coin news item that is a clear reminder of a slower economy where less change is used, the United States Mint today published the Hot Springs quarters mintages. The coins are the first issue from the new U.S. Mint America the Beautiful Quarters™ Program. The latest production figures reveal they are now also the most scarce quarter design in generations. The Mint struck 59.6 million of them, with 29 million made in Denver and 30.6 million produced in Philadelphia. As a stark comparison, the first Delaware quarter in the 50 State Quarters Program® had a total mintage of 774.8 million. For more, read the article Hot Springs National Park Quarters Mintages Scarcest. According to the Elliott Wave perspective, "prices have pushed to initial resistance near $1200, but it would not be unreasonable if they decide to extend a bit higher. Subsequent resistance is in the $1208-$1229 area. Once gold closes beneath the lower channel line, which crosses $1128.50 tomorrow and is rising at approximately $1 per day, the price peak will be confirmed and gold should rapidly descend to the $950-$1000 area. Even lower targets remain probable." The good news/bad news routine continued to be the order of the day as regards Indian gold demand. Spurred by hefty price declines in April, the country’s gold imports surged by 71% (to a monthly figure of 34.2 tonnes). Nowadays, however, the local price is near a record high and sales are anything but stellar. In fact, sales –as in sell-backs of the scrap variety– are possibly about to hit the market. This, as local farmers prepare to buy seeds and fertilizer ahead of the ‘kharif sowing season.’ Such secondary supplies of gold and silver are projected to cut into the Indian metals import figures for May/June. In addition to bullion American Silver Eagles that are already available, the United States Mint this year will also issue 5 oz. bullion America the Beautiful Silver Coins that are duplicates of the America the Beautiful Quarters. The first of five coins will be released this summer, with the remaining four to follow in short intervals. Check the above link to visit a sister site to CoinNews for more information on the series.